Originally published on September 19, 1796 in a Philadelphia daily newspaper American Daily Advertiser it was titled “The Address of General Washington To The People of The United States on his declining of the Presidency of the United States.” The letter was almost immediately reprinted in newspapers across the country and later in pamphlet form. Washington asked the citizens of the new country to give this “great “experiment” the opportunity and time to realize its full potential. All that we today take for granted was in those days far from a sure thing. There were warnings to adhere to the Constitution and its law. Washington warned the people of political factions who would seek to obstruct our laws, or to prevent the constitutional branches from enacting the powers provided them. He said they may claim they’re working to meet popular demands or solving problems, but their true intentions were to take power from the people, placing it in the hands of unjust men. The constitutional system of checks and balances and the separation of powers were, he wrote, important means of preventing a single person or group from seizing control of the country. Washington’s reputation and his ability to inspire, due to his character and moral example, as Commander of the Continental Army, followed him throughout his life. One of the most referenced parts of his letter was his strong support of the importance of religion and morality. Not only in promoting private and public happiness, but also in promoting the political prosperity of the country. A man of profound Christian piety he wrote that religious principles advanced the protection of property, reputation, and life that are the very foundations of justice. 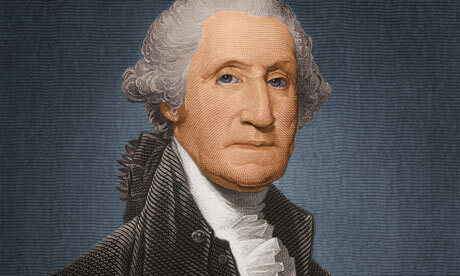 Washington said the nation’s morality cannot be maintained without religion and, since morality is necessary in popularly elected governments, religion is vital in maintaining the popularly elected government of the United States. These statements from the pen of an American hero, about the importance of religion and morality in American politics, were commonly referred to during political debates well into the next century. In January 1862, during the American Civil War, thousands of Philadelphia residents signed a petition requesting Congress to commemorate the 130th anniversary of Washington’s birth by reading his Farewell Address “in one or the other of the Houses of Congress.” First read in the United States House of Representatives the following month, the reading of the address became a tradition in both houses by 1899. But in 1984 the House of Representatives abandoned the practice. The Senate continues the tradition today, observing Washington’s Birthday by selecting a member of that body, alternating between political parties each year, to read the address aloud on the Senate floor. No tradition in the United States Senate has been more steadfastly maintained than the annual reading of President Washington’s Farewell Address. George Washington, the father of our country, was a genius and a brilliant leader. His ability to understand human nature and to foresee the problems and issues the country would face more than 200 years later is a testament to his God-given gifts. Washington died 215 years ago today, December 14, 1799 at the age of 67. No one could have imagined the influence he would impart on the country so long after he was gone.